Sharkadina Night just turned into Sharkadina Weekend (or hopefully week, or month, or year, or eternity)! For the second time in two nights, The Shark connected on a home run last night. Also for the second time in two nights, his home run kicked off the scoring for the Nationals and led to a 3 run inning! Bernadina opened the doors to a huge series opening 7-3 win over the Cincinnati Reds. The best part was that the Shark wasn't done there. He hit an RBI single 2 innings later! He ended the night 2 for 5, with a run, 3 RBIs, and a stolen base. Jaw-dropping numbers. Another interesting twist to this Shark power surge is that it is fairly possible that he's hitting the home runs for us! The first message was around 5 o'clock on Sharkadina Night. The Shark definitely got it. 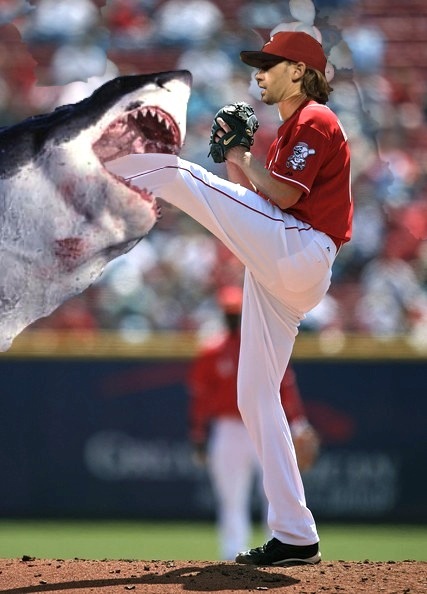 MASNSports' Bryon Kerr sees the Shark! 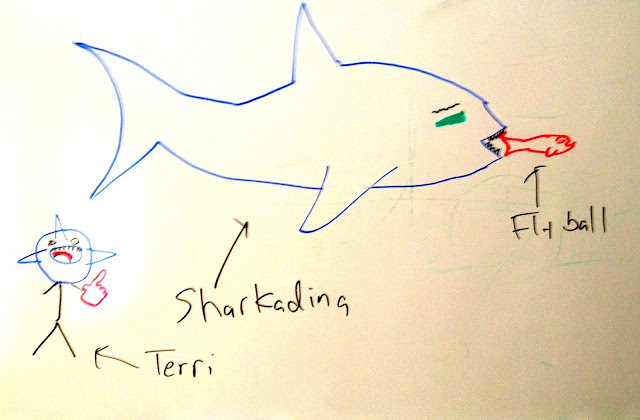 The Chicago Tribune knows Roger Bernadina is the Shark! My roommates are Physics grad students at UMD. They drew a scientific diagram of Sharkadina. They don't know how to spell my name.